Shelves go for a bundle of other functions as they are no only to store one’s things in a minimal space! One can set them up as a focal point to room with some decors and centerpieces nicely organized on different shelving levels! You can also store those delicate or harmful items on higher interior wall shelves that should not be in your kid’s reach! 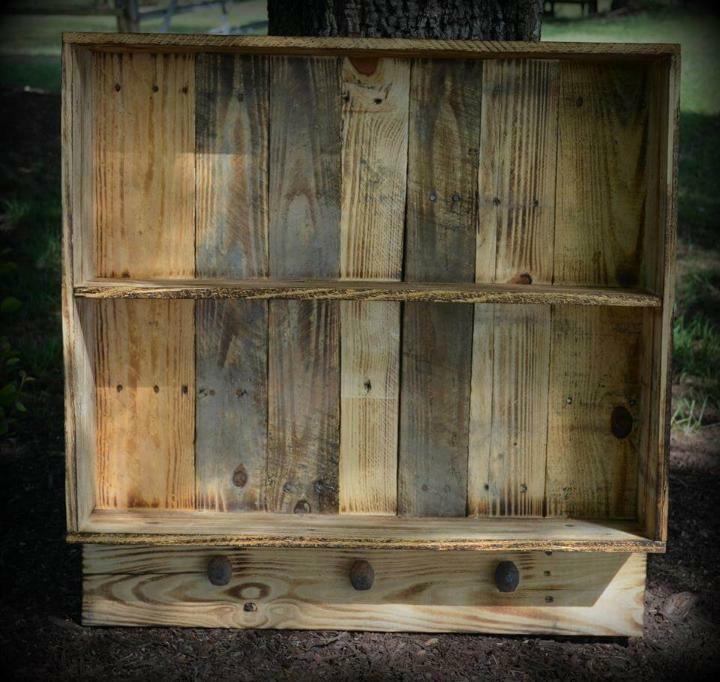 Pallet wood gives you a freehand here to build anything related to home furniture and improvement with it and this time we are with this DIY Pallet wall shelf design having also a set of hanging knobs to hang up your necklaces, coats and handbags etc. Just built a box out of pallets with one side exceeded! Add the divider inside the box to create two shelving levels and finish it by adding the knobs on that exceeded edge! Bring the wood into a rapturous and enchanting tone through sandpaper work and enjoy! It can also work as a kitchen spice rack, bathroom toiletries shelf, jewelry organizer and much more that you genius mind can think! Pallets are also useful to build a bundle of shelf design and also a plenty of racks to eliminate your home storage needs! 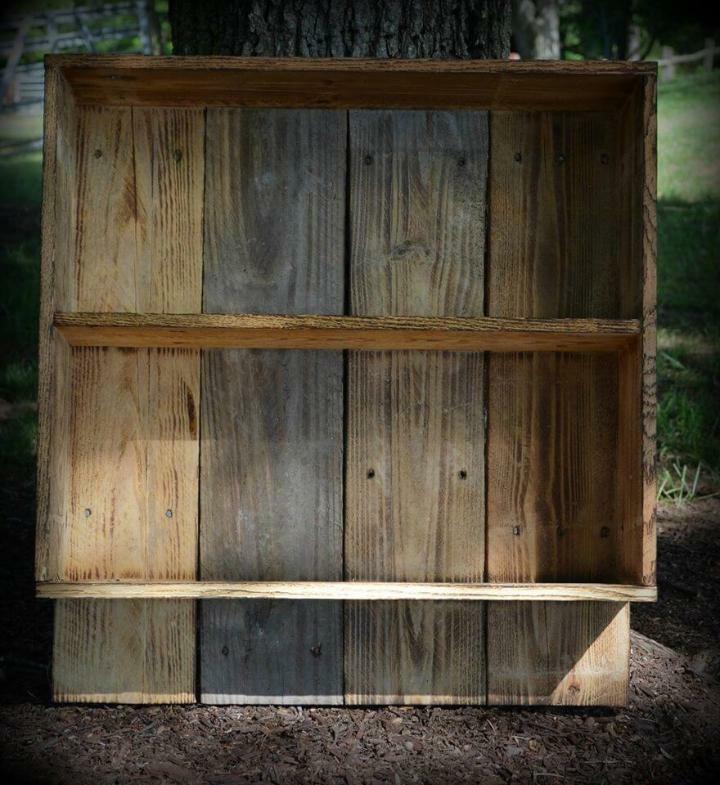 One can build any size of pallet wall organizers, racks and shelves to suit his wall area and to go well with his storage space requirements! This square shape of wall shelving unit can serve as an entryway wall organizer, as kitchen spice rack and as a simple decorative wall shelf! It comes with knobs to hangup your coats, key-chains and necklaces etc.